I was talking to Tegan about shortbread and naturally (with her obsession) she said to make bows! I don't have a bow cookie cutter so I was trying to think of ways I could make bows, and decided to pipe the dough! I placed the dough in piping bag (could also use a large ziplock) and cut off the tip to the width I wanted the bows to be. The dough was a bit tough to squeeze out at first so I put the bag of dough in the microwave for 5-10 seconds whenever it started to get too firm. Then after I dipped them in melted white chocolate melting chips! mmm! 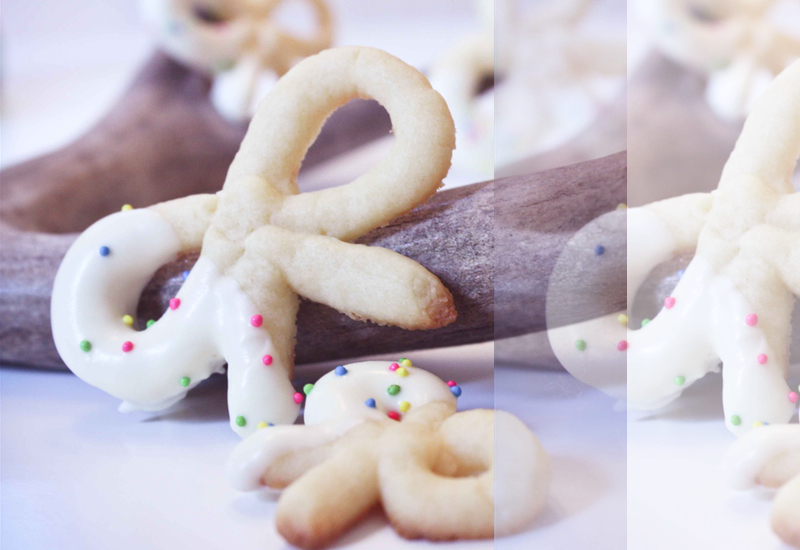 - Baking time depends on the size of your cookies, for my little bows it took only 4 minutes.